One of the Housing Affordability and Livability Agenda (HALA) committee’s 65 recommendations was that the city prioritize its surplus properties for affordable housing. That doesn’t appear to be happening. 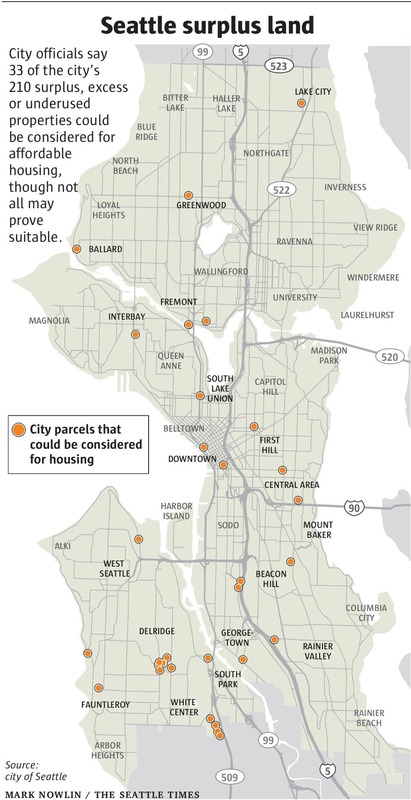 The Seattle Times ran a story on the 210 “orphan” properties the city owns that might be used for affordable housing should the city find the political will and capital to do so. The city says many of the properties are owned by Seattle City Light or Seattle Public Utilities and by law can’t be developed as housing without paying fair market value for the land. In their opinion, that leaves only 33 of those properties that are large enough (15,000 square feet was their benchmark) to be worth developing as affordable housing, and, even then, the city doesn’t seem to be moving with any haste to actually get the projects moving on these locations. The city rationalizes their inaction by using some dubious assumptions to claim huge subsides would be needed to operate affordable housing. Budget directer Ben Noble claimed a 100-unit building affordable to low to moderate income tenants would need an annual subsidy of $1.4 million. That’s a shortfall of $14,000 per household per year, or $1,167 per month. Studio apartments, albeit crummy ones, can still be rented in this city for not much more than that. Seattle must plan on building some expensive units and renting all of them below market value. One way to cover operating and financing costs is for the city to rent some units at market value so that the city-owned building is truly mixed income. Another way is make more inexpensive units. The simplest way to do that would be to build some smaller units so that more units can fit in a similar sized building. For decades, we’ve been building low-income housing to middle class specifications, but previously smaller units were the norm. Rooming houses and residence hotels offered another option: small apartments with shared kitchens and bathrooms (I’m going to delve deeper into rooming housing in a future post). And they didn’t contain private parking spaces, a huge expense in any building project. Smaller rooms and shared amenities allow a lower price point. Granted, the city council needs to legalize this type of housing again. Or, of course, the city could stick with their assumptions and just fork over the money. Providing affordable housing is a good use of funds and bonding. Long term though, enacting zoning and land-use codes that allow both the city and private developers to use their land and to build affordable housing is a surer way to alleviate Seattle’s housing shortage. So far the city has offered more excuses than proactive solutions to maximizing the potential of their landholdings. Take this quote from The Seattle Times article: “’The point is, there’s not ginormous amounts of free land out there,’ said Miriam Roskin, Office of Housing deputy director.” I hate to pick on Roskin, but another point is high ranking city officials are using the term “ginormous” while publicly discussing city business. And in all seriousness, 33 decently sized plots producing even a modest average of 100 units each is still 3,300 units that wouldn’t otherwise be on the market, and we need all the help we can get. Plus, if we wanted to buy some parcels of underused land owned by Seattle City Light or Seattle Public Utilities sure that’d be an added cost for the housing project, but wouldn’t that also, as an added funding stream for our utility companies, drive down utility rates in the city? One choice city-owned block, Civic Square, right across from City Hall was overlooked as an affordable housing site. Instead the city targeted the site for a public plaza after they tore down the Public Safety Building in 2005. In 2007, the city made a deal with Triad Capital Partners whereby Triad would design and build the public plaza (deemed a 25 million-dollar value) and in return get rights to use part of the block to build a 43-story market-rate tower with offices and 125 market-rate condos. The recession scared away investors apparently, but the tower was approved in 2009 while Triad scrounged up financing. It seemed inevitable. That is until this week, when Mayor Murray announced he had no desire to work with Triad after city council candidate Jon Grant exposed text messages from Triad senior vice president Brett Allen that he said amounted to political blackmail. Allen wanted Grant to get the Tenants’ Union to drop their lawsuit and claimed he could make $200,000 in independent expenditures against Grant’s campaign “go away” if that happened. Triad is up against a city-imposed Dec. 31 deadline to close the deal for the city property or face a million-dollar extension penalty. Just one week earlier Allen was claiming Triad would finally close the deal after an eight-year delay and would begin construction in 2016. Now the office tower’s future is very murky. Triad fired Allen on Tuesday and apparently is trying to salvage the project. If the Triad deal falls through, maybe the city can better leverage the site for affordable housing. Since the city owns the land, it holds the power. Why not get a better project? Public plazas are all fine and dandy but it seems the city is squandering a prime land holding for a vanity project rather than using an extremely visible and valuable block to send a message that city hall is serious about affordable housing. The lot has sat vacant for a decade, wasting a prime piece of real estate. Now Seattle has the chance to show it seriously about maximizing the value of its city-owned land. I hope to see a new project that includes some affordable housing take the place of the Triad tower, or, at the very least a renegotiation of terms so that Triad pays the real value of the land rather than a nearly decade old price. If they do this right, city officials will have the chance to look out the windows of city hall every day and admire a tower dedicated to housing justice. 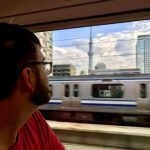 Previous articleCLT: What’s All The Excitement About? These are complicated issues. Sure, the city can build a massive housing complex in the middle of the city, with small units. But people will compare it to the county jail a few blocks away, and there is a stigma with housing projects that can be pretty damaging to those that live there. One piece I think you’re missing is that the city is mostly powerless to stop the office if Triad really wants to go forward. You can’t just “renegotiate” a contract for more money – the terms of a contract are legally binding. Asking for more money means giving something back worth the same amount. That said, it seems likely that Triad will have to pay the $1M extension fee in a few months. Good point, Matt. It might make the most sense to just go ahead with Triad’s Civic Square project since it seems ready to construct and then the city will have the tax base the tower generates to add to the coffers and maybe get to affordable housing down the road (seems to be a recurring theme though). I do like that the tower is going for Platinum LEED certification. With the next 33 city properties I would hope for a much better outcome. I think we need to overcome the stigma that people living in micro-units and/or subsidized housing must be up to no good. I think a portion of the 45,000 Seattle households paying 50% or more in their income to housing would appreciate an option in the market than allowed them to downsize and stay in Seattle rather than get displaced to the edges of the metro or another city entirely. I think the city should encourage mixed income neighborhoods and buildings because you’re right concentrating poverty in projects or slums doesn’t have a good track record. However, certainly the status quo both in the private and public sector is not doing enough to address the housing shortage either. Matt, re your “limited office space downtown leads to more office space in the suburbs which leads to people living further into sprawl”. 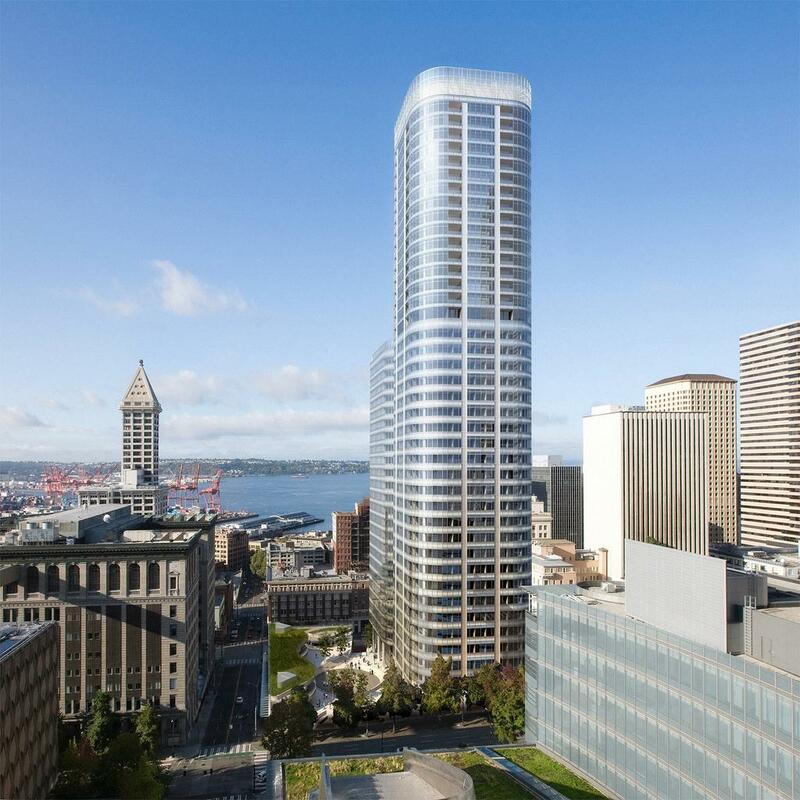 We shouldn’t be so parochial as to believe that all future office space in the region belongs in downtown Seattle. Our travel corridors into and out of downtown would be quite overtaxed, even worse than they are already. We have a regional plan with several urban centers, including downtown Bellevue, Everett, and Tacoma, and that’s a good thing. Those centers are well within the urban growth boundary; they don’t contribute to urban sprawl. Sure they do. The only real force slowing sprawl is difficulty of getting to it downtown. And this “shouldn’t” idea you have. We have a hub-and-spoke system for transit. This means it’s far more efficient to have workers downtown, and far more likely that they’ll take transit if they do. Only 35% of commuters to downtown Seattle take drive alone. For downtown Bellevue it’s 65%. What are the numbers for Everett? By far the most efficient system for transit in any region is hub-and-spoke. Our regional plan to make multiple employment hubs will increase sprawl, vehicle miles traveled, and the cost to provide transit. I’d be happy with housing hubs at transit nodes, but jobs belong in the city. Sprawl is contained by the Urban Growth Boundary, not downtown Seattle’s infinite appetite for office towers. Your hub and spokes model means buses and trains enter downtown Seattle full and depart empty outbound. Reverse in the afternoon. Not an efficient way to run a transit system; the multi-center concept means transit ridership in both directions — witness the 550. And East Link when it comes. You can thump your tub all you want, but the PSRC disagrees with you, and given that Seattle doesn’t and can’t dictate regional planning, that’s not going to change. Good point, Matt. It might make the most sense to just go ahead with Triad’s Civic Square project since it seems ready to construct (and legally entrenched) and then the city will have the tax base the tower generates to add to the coffers and maybe get to affordable housing down the road (seems to be a recurring theme though). I do like that the tower is going for Platinum LEED certification. With the next 33 city properties I would hope for a much better outcome. them to downsize and stay in Seattle rather than get displaced to the edges of the metro or another city entirely. At this point I think the city should encourage mixed income neighborhoods and buildings because you’re right concentrating poverty in projects or slums doesn’t have a good track record. However, certainly the status quo both in the private and public sector is not doing enough to address the housing shortage either. If city light owns these parcels and the City of Seattle would have to pay market rates to SCL for them, then work up a scheme where SCL pays the city back for some service or interest with equivalent money. In my view, both the City government and City light are owned by the citizens of Seattle and the desire of the Legislature to not make SCL’s assets fungible with the city may be prudent but, this impenetrable firewall is silly. There are so many synergies to utilize SCL’s assets for the betterment of the city including creating park space over SCL underground installations (as was done in SLU), investing in renewable energy production within the city (Solar arrays, wind farms, living buildings, energy storage facilities), and my cause-celeb – building out a citywide fiber-to-the-premises broadband Internet which can be readily rationalized by connecting smart-meters on every building. I would love to see municipal internet, Charles! Having to choose between Comcast and Centurylink is a very painful and expensive choice indeed. The courts take a very strong view on separating utility accounts from the City’s general fund. Some years ago, the City decided to bill City Light ratepayers for street lighting expenses. A taxpayer sued and the courts agreed that street lighting is a function of general government, not the electrical utility. I don’t have the legal cites, but this and similar cases are well known inside City Hall. Underlying this all is statute law. It used to be called the Local Government Accountancy Act or something similar.